Smart speakers, or voice assistants as they are also known, serve as a conduit between the physical and the digital in a world where the internet has its grip on so many of our things. Whether it’s your thermostat, doorbell, smoke detector, or robot vacuum — making changes to your surroundings can start with the simplest utterances: “Hey, Alexa” or “OK, Google.” Yes — only two companies truly dominate the market, and their capabilities seem endless. But according to Nielsen’s MediaTech Trender Survey, the majority of people still tend to use these voice assistants for more basic functions such as listening to music, news, and asking historical or trivial questions. The desire to learn about — and purchase — more features and devices that communicate with smart speakers, though, is noteworthy (75% of survey respondents indicated such an interest). So if you’re in this crowd, here are a few things you should know before allowing a smart speaker to play the role of your home’s brain or central command center. Adam Fingerman, chief experience officer and cofounder of ArcTouch, told us in our roundup of the best voice assistants that these devices aren’t perfect: “They are undeniably useful but at the kindergarten level in terms of potential uses.” They are getting smarter, though, and this shouldn’t come as a surprise to anyone: For these devices to make your experience in the home easier, they need to know more about what makes you (and your home) tick. It sounds harmless, and in many cases it probably is — the closer voice assistants get to your brain, the less daunting everyday tasks become. At the end of the day, getting the most out of your voice assistant increasingly depends on how comfortable you are with Alexa knowing things such as when you like the lights turned off at night. Amazon claims the benefit of Alexa learning your voice (a purely opt-in feature) is to further customize and streamline your experiences. If you’d previously asked for the daily news or prefer a certain type of music, no need to explicitly ask or repeat yourself — Alexa will already know what to do based on your voice. This is just the beginning — Alexa can also now adjust to the noise characteristics of your surroundings with “Whisper Mode,” which lets you have a conversation with your Echo in hushed tones, if you don’t want to wake a sleeping baby. This type of artificial intelligence (AI), while eerie to many, helps the products understand what you’re trying to say to bring you more accurate results. The Google Home uses its voice match feature to bring personalized results to each member of the family. And if you’re traveling in a foreign country and need help finding your way to the airport, you can use Google Interpreter Mode to communicate with a local in their native tongue (or teach yourself to learn a different language). This real-time translator feature was released at the 2019 Consumer Electronics Show (CES) and works with 27 different languages. In addition to translating conversations for you, Google envisions further humanizing the Assistant by building AI that could “understand your mood and tone” one day, as reported by CNET. The New York Times reported last year that both companies had filed patents with intentions to build out their AI in a way that could make smarter inferences of your interests (and possibly reprimand your children for poor behavior). Similarly, an Amazon spokesperson told us Echo devices are designed to detect only your chosen “wake word” (Alexa, Amazon, Computer or Echo). The device essentially uses “acoustic patterns that match the wake word,” according to the site’s FAQ, and claims the devices only store and send information to the cloud when this wake word is detected. “In rare cases, Echo devices will wake up due to a word in background conversation sounding like Alexa or one of the other available wake words,” the spokesperson said. The safeguards, according to the spokesperson, include: the fact that Alexa Communication in general is an optional feature, a blue LED light tells you when audio is being sent to the cloud from your Echo, and you can adjust your settings to receive audible alerts upon asking questions. You can always view or delete the data Google and Amazon have on you, but the internet is not without vulnerability when it comes to your personal data. Communication with said cloud and servers is nonstop, and while you have some autonomy over the dispersal of this information, you might not be the only one seeing it at the end of the day. Whether through user error, breach, or glitch, voice recordings and personal data can end up in the wrong hands. 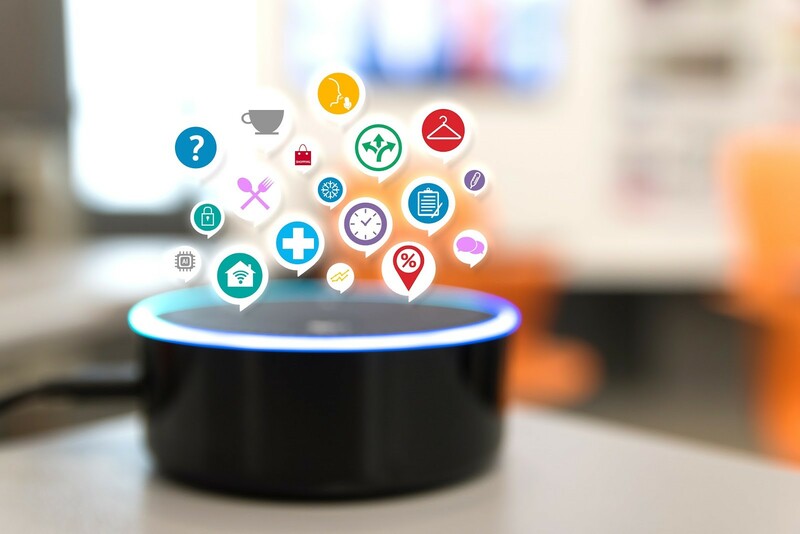 In 2018, a German magazine reported on a situation in which an Alexa user’s voice recording data was allegedly sent to the wrong person, revealing personal information about the user’s job, friends, and musical tastes. In another instance, an Oregon woman told a local TV news station she found her Alexa devices had sent personal information to one of her husband’s employees in Seattle without her knowing. Amazon reportedly responded to both incidents with statements stating the company was taking action to address the incidents and others like them in the future. “As a user, you don’t know if the data the app is accessing is used by the main developer of the app or some other third-party that’s collecting it,” said Martina Lindorfer, a contributor to a study that looked into whether phones “listen” to our conversations to inform advertisements. While the team found our phones aren’t necessarily “listening,” they did find some apps that used screen recordings of user interactions on the apps without explicit consent. “One of the problems is that there’s very sensitive information in apps like passwords or credit card numbers that show up in screen recordings and are not really protected,” Lindorfer said. The Android study is just one example of how complex (and, in some cases, weak) our smart device ecosystems really are. The Amazon spokesperson told us the company did not share voice recordings with third parties directly, but that when you use a “skill” – the name for add-on features or functions that users can employ with an Echo – the company states it “may exchange related information with the developer of that skill in order to process your request, such as your answers when you play a trivia skill, your ZIP code when you ask for the weather, or the content of your requests” in the Alexa FAQ section. In other words, Amazon says it does share user data with the developers of apps that are used with the Echo. All skill developers must meet Amazon’s security requirements, and this means they can’t take your personal information without first informing you in their privacy policies. Google, on the other hand, says it “generally” doesn’t send your audio to third parties — just the transcript of what you said. Your information is dispersed via the 70,000 Alexa skills (that’s a lot of developer privacy policies to read). This information helps developers (and the network of third parties) infer personal information about your daily life and technology use. Bloomberg reported that Amazon and Google have asked smart home companies like Logitech to constantly send over smart home equipment information. In a roundabout way, Amazon and Google (which, by the way, has its Assistant built into the Nest Secure home security system) could know when you lock the door in the morning and at night, and have access to other behavioral pattern insights (like what time you get home and go to bed) based on data sent from these companies. Your interactions with your smart home devices can also help inform Alexa “Hunches” — so if you forget to turn off your porch lights one night, Alexa will dutifully remind you. While this seems like surface-level data, when compiled, it can form a detailed profile of who you are. 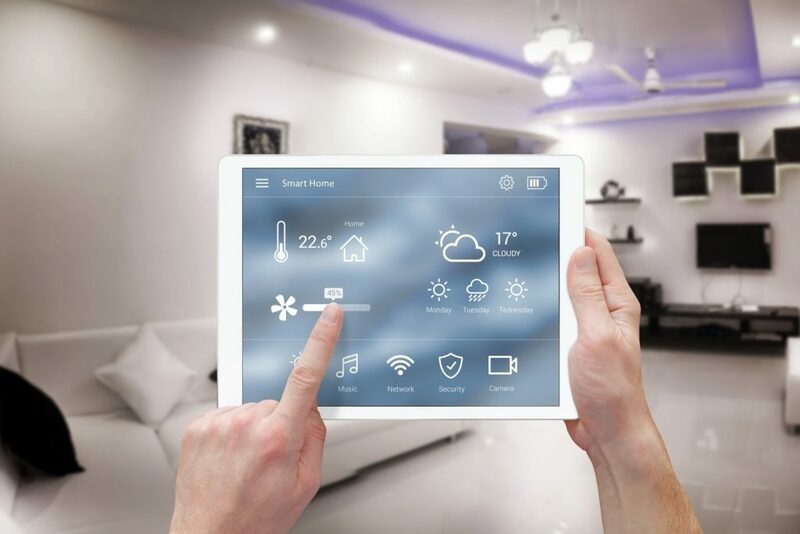 Studies show information gleaned from smart homes, although often encrypted, is vulnerable to eavesdropping via ISPs, hackers, and other state-level entities and is sufficient to infer the ins and outs of your daily life. One study set up by a team at Gizmodo revealed just how informative scant, encrypted metadata can be. The “hacker” could infer when the family woke up in the morning and went to bed at night based on Amazon Alexa activity. Manage your voice recordings: When we asked whether Amazon kept/had access to voice recordings after a user deleted them, we got a succinct “no.” Based on that simple response, it seems reasonable to believe that once your recordings are deleted, they’re gone. You can check what your Amazon or Google voice assistant devices have picked up by viewing your settings — make sure no sensitive data (like your credit card information or Social Security number) worked its way into the transcripts. In general, if you feel uncomfortable with what your device has picked up, delete it. 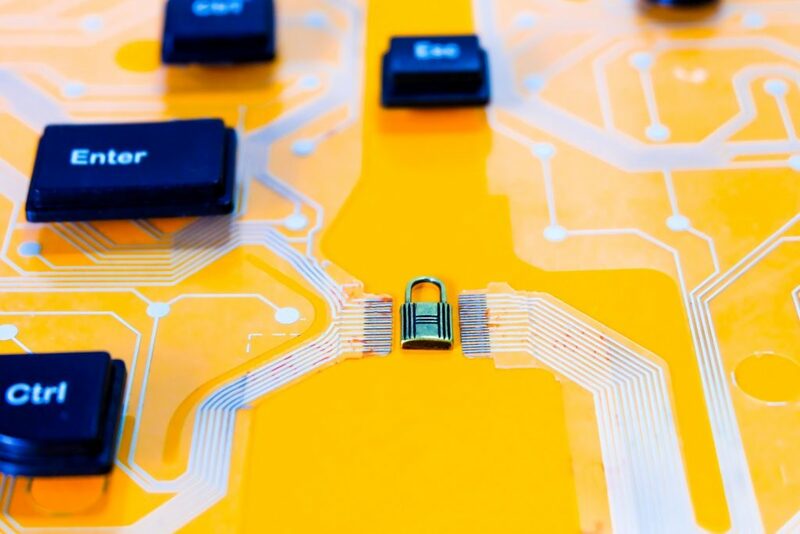 Secure your network: You’ll want to update your passwords, including those linked to your devices, and make sure you’re using a complex string of characters. We suggest making good use of two-factor authentication when possible, a virtual private network (VPN), and a strong encryption method, such as WPA2 (all of our picks for wireless-routers are equipped for WPA2). You’ll also want to avoid giving out your password freely and consider providing a separate network for guests. Use an identity theft protection service: Our roundup of the best identity theft protection services monitor more than your credit history and reputation — they also keep tabs on where your personal information is going and who’s using it. These services are especially useful in alerting you of any potential risks to your information online, so you can take action before it’s too late. Turn device(s) and microphones off when you’re not using them: A true no-brainer — although it might make your life more difficult when you have to turn the device on every time you need to ask a question. This is one way to make sure you don’t have any run-ins with accidental voice recordings or misconstrued wake/hot words. From a broad perspective, the internet of things describes anything from wearables to everyday appliances and machinery that connects to the internet, communicates with other devices, and can be controlled remotely (in most cases). What about Siri and Cortana? We put Siri in our roundup of the best voice assistants, but it’s less accurate and versatile than its Google and Amazon counterparts. While Cortana had high intelligence scores in a 2018 Stone Temple study, it falls far behind in the market and lacks the functionality and integrations Google and Amazon products offer. In fact, Microsoft now says Cortana is no longer a direct competitor to Amazon and Google — it’s rather an integration both devices need if users frequent Microsoft 365. How likely is my voice assistant to get hacked? While there have been reports of voice assistants getting hacked or experiencing concerning glitches, there are also reports that your voice assistant is less likely to see an attack than your computer. Experts have told us that an attack is relatively unlikely, too, but we suggest taking necessary precautions to secure your network and frequently check voice recordings, if you choose to keep the device on at all times. Again — in purchasing a voice assistant or taking on a smart home, you’re most likely well aware that all things attached to the internet can and do provide information about you to third parties. Although it’s difficult (and potentially out of your control) at times, try to understand where this information is going, who’s using it and why. Yes — building a smart home controlled by a voice has the potential to make life easier, but you’ll be relinquishing personal information in the process. Understanding this give and take is key to setting up and using a voice assistant.